Thanks for taking the time to check out MudLOVE fundraisers! Our products serve as a great way to raise money for adoptions, mission trips, school functions, and more. Customize words, images, and colors to match your campaign. Did we mention that each handcrafted bracelet and mug also provides 1 week of clean water to someone in need? As you gain support for your cause, you’ll be making a difference in more ways than one! How would you like to raise money for your cause? Skip the candles and candy bars this year, and try our own version of the classic pre-order fundraiser! 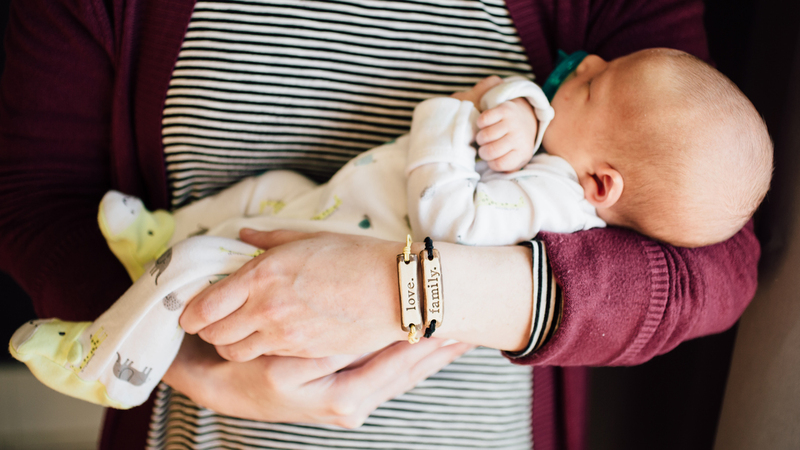 Choose one of our meaningful bracelet designs, and easily collect orders up front from friends & family. Have your pre-order form filled out? Place your bracelet order now at MudLOVE Overflow! We are adopting our 4th child from China. We were thrilled with how well our fundraiser went! Everyone we talked with wanted to participate. The bracelets are so cool -- all my friends love them! This was the perfect opportunity to help me serve in Swaziland again. Ready to begin fundraising right away? 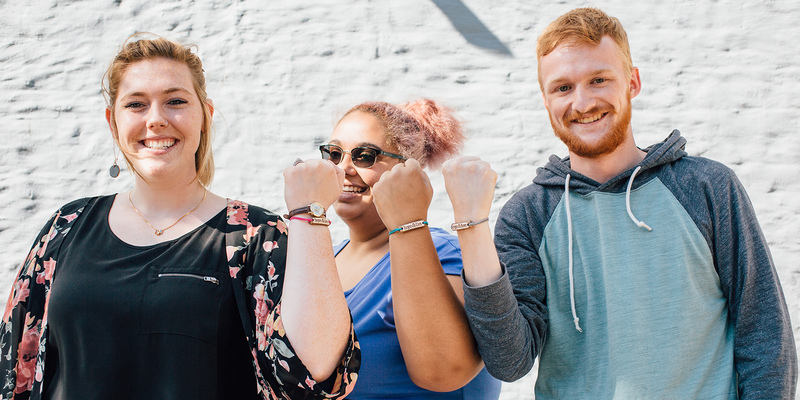 We’ve assembled some amazing starter packs of 50 bracelets; just choose a theme -- Adoption, Medical, Best-Sellers, World-Changers -- and start selling! Nurses on a Mission is an organization that takes student nurses to the Dominican Republic to provide medical care to impoverished communities. I cannot say enough good things about the product and the people who work at MudLOVE. They are so helpful and they are determined to do whatever they can to make our fundraiser a success! Nurses on a Mission is so thankful for our partnership with MudLOVE. We would not have been able to accomplish what we have over these years without them. Fundraising can be an overwhelming task. With our staff providing support, you'll never be alone in the process. With our FREE fundraiser options, there's no need to stress over start-up costs. MudLOVE fundraisers use our handcrafted ceramic jewelry and pottery, made right here in Indiana, USA. Each piece is a work of art, and a long-lasting, powerful reminder of your cause. From a variety of programs, to a wide selection of products, we'll help you find the combination that works best for you and your cause. Personalize your campaign with our custom options! Find yourself hosting the same old fundraiser every year? Launching a MudLOVE campaign is a unique way to not only raise money for your cause, but get people excited about it too! Every MudLOVE product -- including your fundraiser items -- will provide 1 week of clean water to someone in the Central African Republic. Shout-out to our amazing partner, Water for Good! 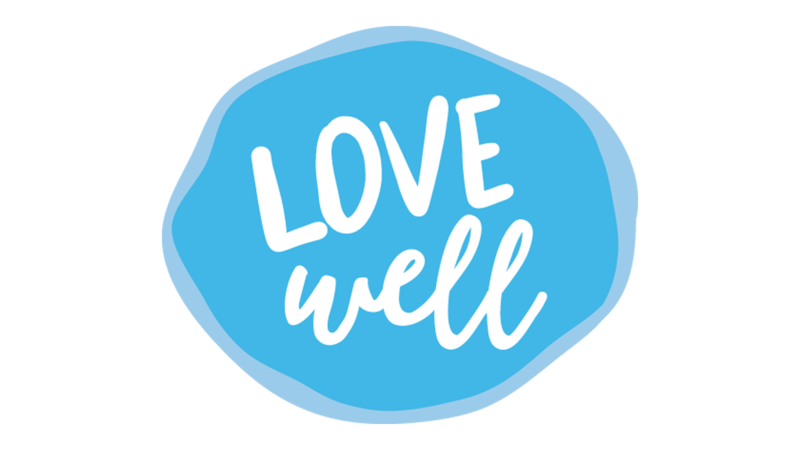 Formerly our Fundraiser Marketplace, Lovewell is our brand new online platform! Set up a free campaign, or design your own bands & mugs. Tell your story, sell products, accept donations, and fund your project! The MudLOVE campaign for Signs for Hope not only helped us raise funds for our annual ASL-Immersion Family Retreat, but it also spread awareness about us. Their staff was a tremendous help in creating our custom designs, and making sure all those who ordered products received their orders in a timely manner. Knowing that each purchase provided clean water for a week in Africa was an added blessing. MudLOVE is basically like GoFundMe but even BETTER because people can donate AND/or purchase super-amazing, custom items that directly related to Leah and her warrior journey. It is BEAUTIFUL to think of the number of people out in the world who are wearing one of these bracelets. We had a celebration dance party this weekend, mugs and bracelets in hand. Thank you for the impact you’ve made. Still searching for the perfect fundraiser? Head over to MudLOVE Overflow and shop from a collection of all of our handcrafted products at a discounted rate! Partnering with MudLOVE has enabled countless students from North Central College to participate in transformative service immersions both domestically and internationally – students who, without this fundraising opportunity, would not be able to join these incredible experiences. Just this year we’ve been able to rebuild homes in Peru, Detroit, Virginia, and Puerto Rico… all made possible with MudLOVE. 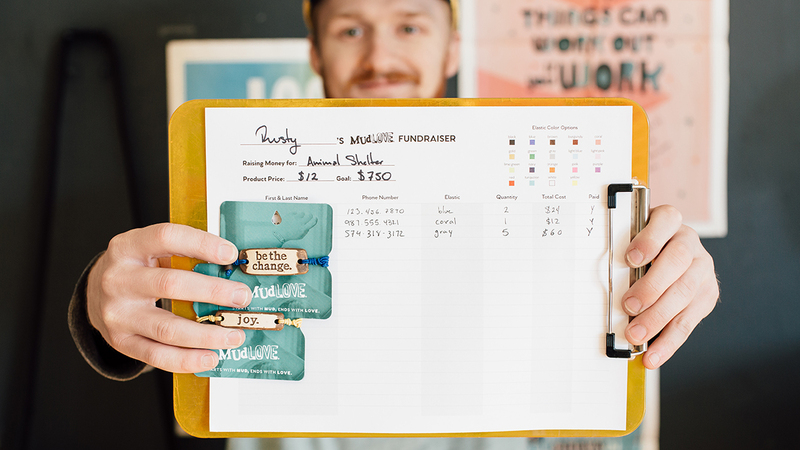 Working with MudLOVE is easy and convenient, and their support staff goes above and beyond. Don’t know what I’d do without them, and knowing that the funds are helping such an important cause makes our students’ work even more meaningful. We can’t wait to begin raising support for YOUR cause. Together, we will make a positive impact in our local communities and across the world!